"We were starting at nine o'clock in the morning and finishing sometimes at eight at night. "We were working six days a week, seven days a week. We had to struggle to earn a living." Lucian, a worker from Romania, recounts his experience of selling cosmetics - not in his home country, but in one of Britain's leading department stores. Lucian says his lack of income meant he was living on a diet of cheap biscuits, but he believes he was misled over just how lucrative his new job would be. "Our salary was only commission based, but I didn't know that until I got to England." Now back home in Romania, it seems Lucian's experience is not an isolated case. The BBC has learned that Romanian workers are selling cosmetics for well below the minimum wage, in a major high street stores throughout the UK. The brand is called 'Ever Since', and can be found on concession stands in Debenhams stores from Manchester to Belfast, and on Oxford Street in London. A luxury range of products created from Dead Sea minerals, it seems ideal fodder for the hordes of Christmas shoppers piling through Debenhams' doors at this time of year. Recruited by an agency called Inspire the UK, staff sign a contract that describes them as 'self employed'. 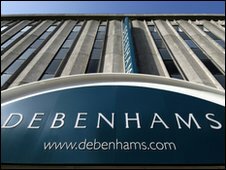 Inspire the UK operates the concessions in Debenhams stores, and recruits the workers on behalf of Danbar International Ltd, which supplies the Ever Since brand. Listed as separate companies, Danbar International and Inspire the UK share the same registered address. When BBC 5 live's Donal MacIntyre show contacted Inspire the UK to respond to the programme's investigation, they received a response from Andrew Dickson, the Managing Director of Danbar Ltd.
Mr. Dickson told the BBC that "where English is not an agent's primary language, all communication is in their native tongue so that there is no misunderstanding of the contract or the terms of their appointment. "The self-employed agents receive support, training and assistance that helps agents to generate healthy levels of commissions." For the first month selling Ever Since cosmetics, Inspire the UK say they pay sales agents a minimum of £650, no matter their sales performance. All subsequent earnings are commission only, at a rate of around 20-30%. However, some staff claim they were not aware of this condition of employment. 'Anica' - not her real name - is another Romanian who is currently selling Ever Since in a Debenhams store. "When I arrived here I found out we don't have a fixed wage, we have only commission" she says. Desperate, she finds herself trapped in a job where in order to pay her rent she must work six days a week, for 12 hours at a time. "On a very good day I get £60" Anica confirms. And on a bad day? "Four pounds - the products are very expensive and it's too hard to convince people to buy, because they only buy the products they know." Compounding the problem for some Romanian workers is that their work package includes "clean, habitable and safe" accommodation. 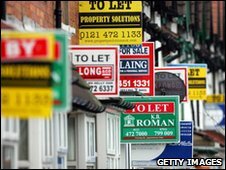 Yet the BBC has discovered that the rent charged for the accommodation in some cases seems well above the market rate. "It wasn't very clean at all," he says. "Each one of us was paying £77 a week, five people paying £1,540 - that was too much." 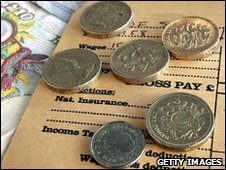 In another case, a worker told BBC 5 live the monthly rent for the house they share with five Inspire the UK colleagues is around £1,500. Local estate agents confirm it should be no more than £700. And because rent is deducted before sales staff receive their pay packet, some feel trapped in an endless cycle of working to pay for a roof over their head. A vociferous online community has sprung up in Romania, with blogs and message boards featuring complaints about Danbar International and Inspire the UK. One worker, says: "We live in a very dirty apartment. [We] worked here for two weeks and now they closed the unit and they want us to go home." Another claims: "I borrowed £500 to get here. My first salary after almost a month... was only £150 and now they shut this unit down and I don't have any money to get home." The BBC has learned that there is also a clause in the Inspire the UK sales agents' work agreement, which doesn't sit easily with the definition of self employment. If the shop assistants leave their post before completing three months work, they will be subject to a £500 penalty. This is the problem Anica is currently facing, as she desperately tries to sell cosmetics during the Christmas rush. Her family back in Romania borrowed money to finance her trip to the UK, but she is too ashamed to tell them the full extent of the financial trouble she is in. She earns just about enough money to cover her rent, but hasn't got enough money for a flight home. "I came here to make some money because we have a bad situation back home," she says. "In this moment I don't have money to go back home and they don't have money to send me." "The welfare of our customers, staff, and workers employed by suppliers is of paramount importance. "As such we have a rigorous ethical policy that underpins this aim. "Even though Danbar operates as a concession within our stores we had already independently started an investigation into the allegations the Donal MacIntyre programme has raised. "This investigation involved an independent ethical audit, and we are currently waiting for the findings. "If it highlights anything untoward, we will of course work with Danbar to rectify the situation." You can hear the full report on the Donal MacIntyre programme on 5 live on Sunday, 6 December 2009 at 1930 GMT or download the free podcast. Contact the programme by emailing donal@bbc.co.uk.